The Infants Program at Holly Springs School is oh so comforting! Infancy is a delicate and educationally critical development stage, where learning happens at an incredible speed. We, like you, understand the importance of finding a program that best supports this time of life. The infant curriculum is fashioned to meet the particular needs or children, ages 6 weeks to 12 months, and includes individualized goals and objectives. These goals and objective are continually monitored, discussed with parents and adjusted (when necessary) so that progress is clearly captured. Equally important in the first few months of infancy is mental development. At Holly Springs School for Early Education, our nursery environment enlists the use of age-appropriate materials and stimulating experiences that promote healthy development during this stage. Parents and teachers can work together to advance this learning process. Research and observation confirms that high quality and frequent adult-child interactions are critical variables. Children below the age of two rely on these types of interactions to help them formulate relationship and broaden communication skills. 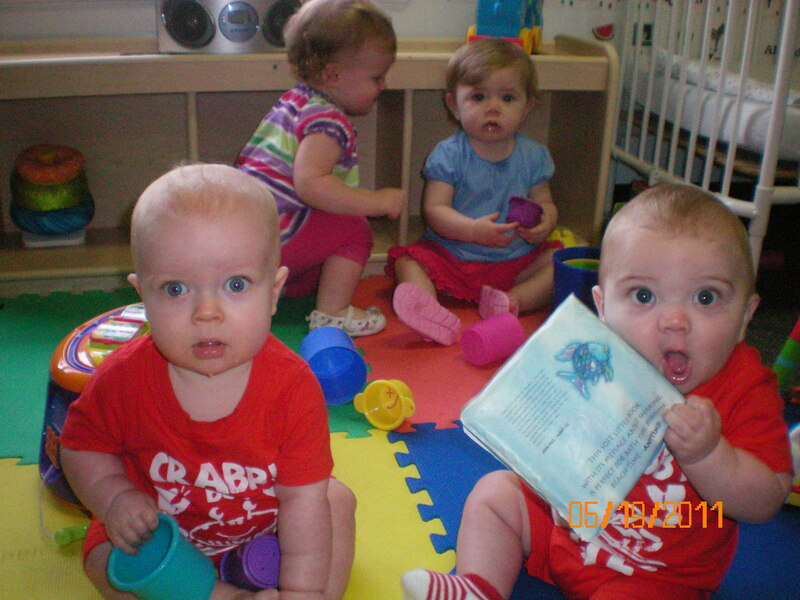 Adults present a secure base from which infants explore their environment and develop social competence among peers. Language development and increased comprehension are developed during this time as adult use. Adults, responding to infant signals and unstated needs, also assist in building self-esteem, cognitive and motor skills. Primary caregivers, armed with this knowledge and practiced in the skill are significant to the success during this developmental phase. In our Infant Class, the introduction to sign language begins with simple gestures such as “play”, “milk,” and “more.” As the children become more familiar, gestures that are more practical are presented. Our core activities are comprised of infant massage, developmental play, stimulating flash cards, puppets and diverse music introduction. Outside time is enjoyed on the ‘bye-bye buggy’ as well as fresh-air time in our child-safe playground. Our teachers are eager participants in the Mother Read program sponsored by Smart Start™ and incorporate reading and language as part of the individualized infant care plan. Infants play and explore more at Holly Springs School! 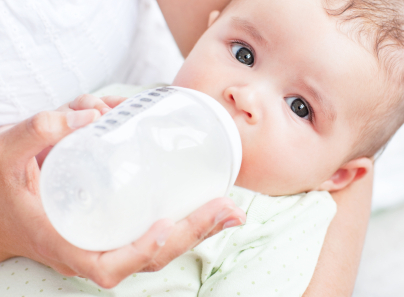 An infant’s health is extremely vulnerable and subject to change from moment to moment. The Holly Springs Early Education staff, certified in both CPR and First Aid, is appropriately trained to handle medical emergencies as they arise. The infant room at Holly Springs School for Early Education offers a safe, sanitary, and stimulating space for your baby to learn and grow. All toys are sanitized directly after individual play. All linens and rest areas are washed daily. Carpets are professionally cleaned and parents are required to remove shoes upon entering the classroom. All our infant teachers wear the required scrubs and follow the NC State Mandated Sanitation Routines for the classroom. We also adhere to the state mandates set for adult to infant ratios (maximum group size of 8; staff-child ratio of 1:4 for infants under 12 months). We pride ourselves on our quality programming, which includes low teacher turnover (avg. of 3 years experience with Holly Springs School); individual care plans; daily reports; daily outdoor play or buggy walks; Sign Language; infant tummy time and soothing stretches; and being a shoeless classroom.